This is a great introduction to a health and safety qualification in the workplace for supervisors, managers and directors. To ensure those personnel required to manage safely and effectively, do so in compliance with both their organisation’s policy and best practice in health and safety. Reactive monitoring, including which incidents have to be reported etc. This four-day course is approved by IOSH and the syllabus can be tailored to meet the specific conditions of the delegate’s industry. Examination – A written assessment and practical risk assessment will be undertaken at the end of the course 60% or more must be achieved in both to entitle the candidate to receive a Managing Safely certificate issued by IOSH. On completion of this course individuals will have increased health and safety awareness in the workplace and will be able to carry out risk assessments in a confident manner. 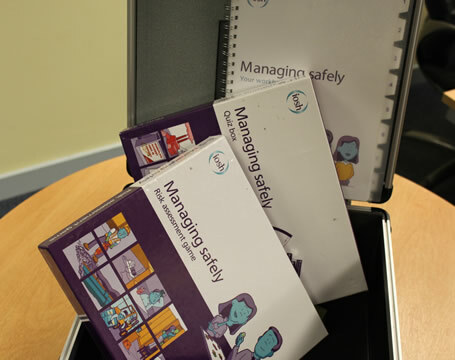 This course provides managers within organisations with the skills to review their own departmental systems for safety, introduce new controls and implement changes as appropriate to make the department work more safely.